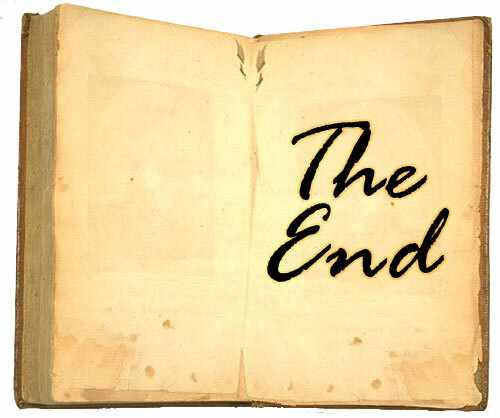 I just finished reading a terrific book except for one thing. The ending was a cheat. Every book must have one. The author composed a quirky, clever main character with an animal sidekick that acts as a contract killer upon command. Very cool idea. The book moved fast, had an absorbing plot and the writing itself was workmanlike (one of my highest compliments) and even contained some flashes of wordsmithing brilliance. When I reached the end, the protagonist was left hanging in the middle of a predicament. Why? Because the author has a second book which he/she (I’m not giving you any more clues as to the writer’s identity) which takes up where the first book lets off. As a reader, I deserve a satisfying and closing end to each book I read. If you want to have a second in a series, that’s great. If I like the first, I will most likely read the second and probably beyond, but I don’t want to be coerced or compelled by not having a real, honest-to-goodness ending to the first one. I have many pals who write series, and they do it the right way. Each book stands on its own. This way, a new reader can dip into any book in the series and receive a satisfying experience without having to read the others. Trust me; if they like the book, they will read another one. Maybe the whole series. In fact, most readers are introduced to a series by the author’s most recently-published book, because that’s the one that publishers have hyped the most. This makes a complete, standalone experience even more crucial to a series’ success. To write a successful series, an author has to insert enough backstory into each book so the new reader gets up to speed without boring those who already know the main characters. It’s actually not that difficult, but it does require some finesse. Respect your audience; don’t cheat them out of an ending. What if the US were run like a corporation and a madman was in charge? Check out my latest thriller “USA, Inc.” now available in eBook and paperback. All my books have a money-back guarantee. One of the best things about writing this blog is that it forces me to confront my own writing issues. Currently, I’m wrestling with a particular flashback in my current novel. You probably know that flashbacks and backstories are different although they are similar. Both devices occur in the past and writers use them to give readers a better understanding of a character or situation through past history and behavior. Backstories usually are standalone narratives whereas flashbacks are a character’s recollection. (I know that some will argue these definitions but I’m going to move on anyway as you consult your dictionaries.) Both suffer from the same malady, however. They interrupt the forward movement of your story. In my particular case, the flashback is way cool. I’ve written it well and in real time. It moves like the wind and gives a great insight into my main character. On the minus side, it stops the main story dead in its tracks. The forward motion that I’ve worked so hard to achieve is halted, and I will have to work even harder to build up acceleration again. The questions I have to ask myself is: Is it worth it? Cut out or leave in? Actually, there’s a third choice. I could make the flashback shorter in hopes that the reader will speed over it. Nah. I either want to tell the whole flashback story or not at all. “As the minister spoke, Mike remembered the funerals in Iraq. They were not ceremonies like today’s but what they called ‘ramp funerals’ where caskets containing service personnel were wheeled onto military transports for burial back in the States. Their buddies stood and watched as the caskets disappeared into the belly of a cargo plane. That’s what passed for funerals during the war. Did you miss reading the flashback? If I didn’t say anything, you wouldn’t have noticed anything was missing. I added “Comrade? She was more than a comrade.” to highlight my main character’s emotional state and offer a bit of backstory, as it were, about their relationship. In summary, I cut several pages of flashback and replaced it with seven words. My word count took a hit, but I have a better book. How do you handle flashbacks and backstories? Any advice for others facing the keep-or-cut dilemma?